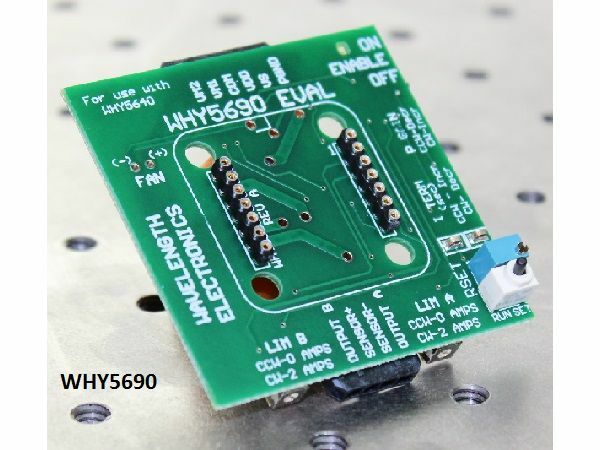 The WHY5640 is a general purpose, low cost, analogue PI (Proportional, Integral) control loop for use in thermoelectric or resistive heater temperature control applications. 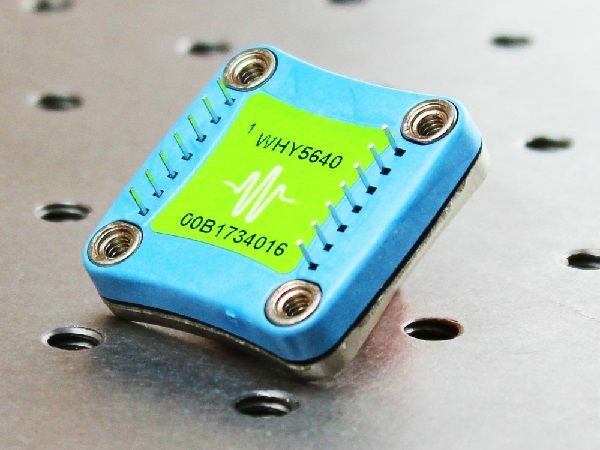 The WHY5640 maintains precision temperature regulation using an active resistor bridge circuit that operates directly with thermistors or RTD temperature sensors. Supply up to 2.2 Amps of heat and cool current to your thermoelectric from a single power supply. Accessories include a heatsink WHS302, thermal washer WTW002, and fans WXC303 (5 V), WXC304 (12 V), and an evaluation board WHY5690. The WTC3243 incorporates remote voltage control and temperature monitor. The WHY5640 does not. The WTC3243 supports AD590 and LM335. The WHY5640 requires external circuits to operate anything other than resistive sensors. Two or more WHY5640s can be used together for more output current. If you do not need all the features of the WTC3243, the WHY5640 is a lower cost solution.